APPLICATION For use with tube amplified condenser microphones. Tubes for this purpose (e.g. 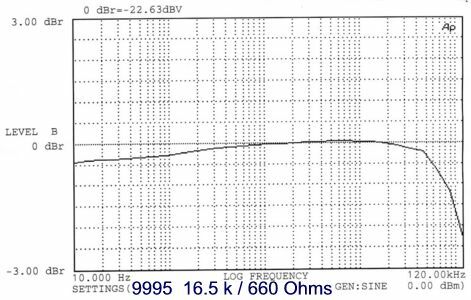 EC92, EF86, VF14 etc) have to be low power and tend to have a relatively high internal impedance typically in the range 10 to 20 k Ohms. This transformer has been optimised for this application in terms of bandwidth and phase shift. Also suitable for FET based amplifiers. FEATURES Mumetal (76%Nickel) laminated core for minimal harmonic distortion and high dynamic range. Multiple interleaved windings ensuring exceptionally good bandwidth even when driven from a relatively high impedance valve.. The high bandwidth and very low phase shift ensures excellent transient response. Mumetal can for magnetic shielding. Available with 2 x M3 threaded mounting holes or threaded grommet for a small extra charge. A center tap is provided on the secondary for phantom powering. NOTE The transformer has to be used in conjunction with a blocking capacitor to ensure no dc flows in the primary.